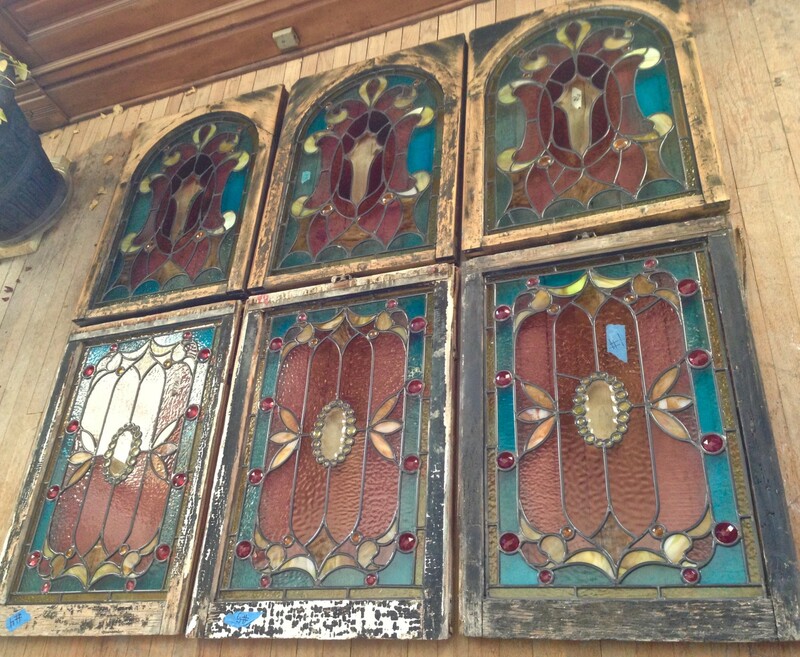 In February, I did a post about the miraculous resurrection of the upper stair hall stained-glass windows. While the stained-glass was totally restored, the wood sashes were still a wreck and required a total restoration, too. And I am THRILLED that this work is now completed. I had a pair pose for a glamour shot. 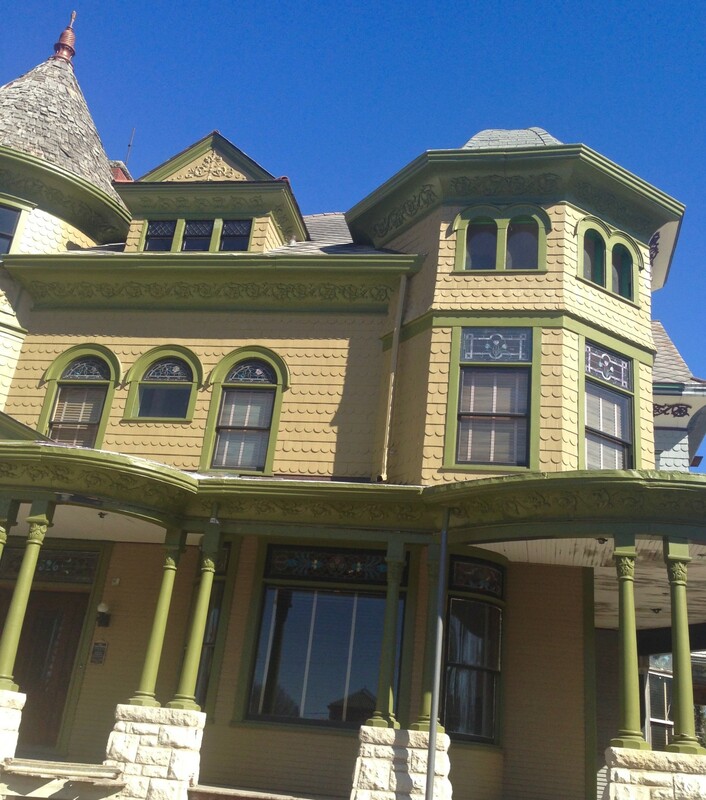 The sashes were stripped down to bare wood, reglazed, and repainted in their original color: classic black. In March, I did a post about the long missing sashes in the upper octagon tower. 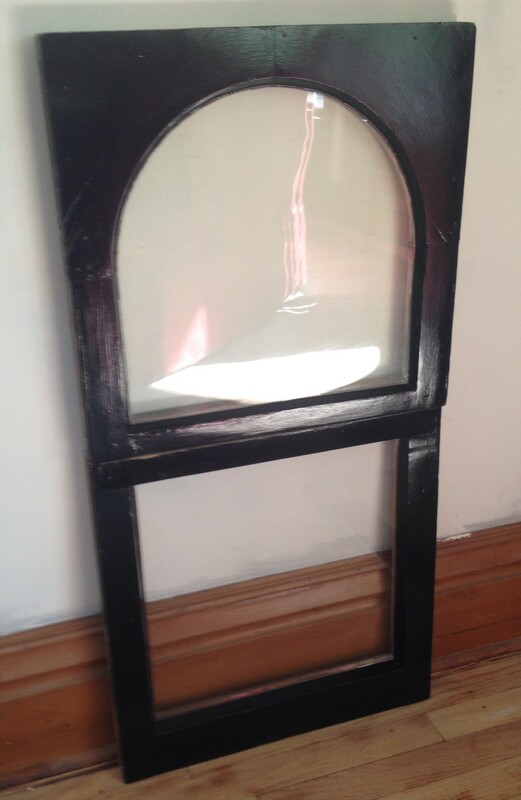 These windows also required a total restoration, and I had a pair pose for another glamour shot. One Response to And MORE windows!